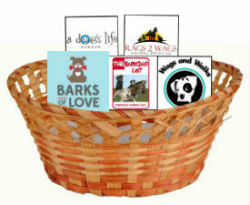 Charity baskets are an easy way to support a handful of your favorite charities all at once! 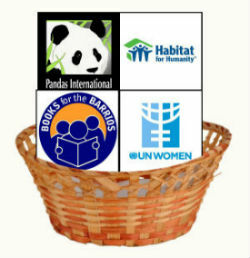 Choose the basket you want and select an amount you would like to donate. 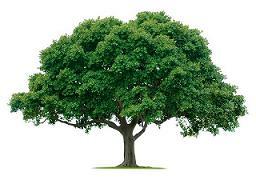 We will divide it equally among the charities in the basket! 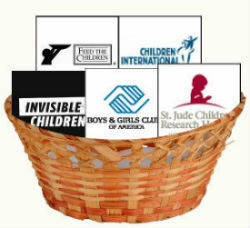 Jessica is one of our volunteers, and created this basket of her favorite charities!